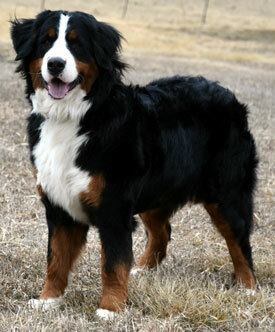 After extensive research and waiting for the perfect dogs we finally have our furry family complete! 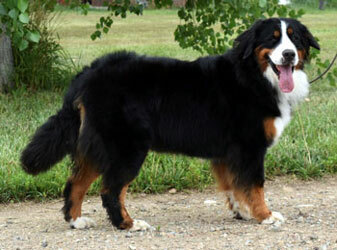 Our two favorite dog breeds are now represented here at Haystack Acres. 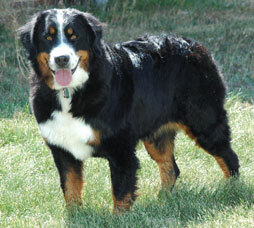 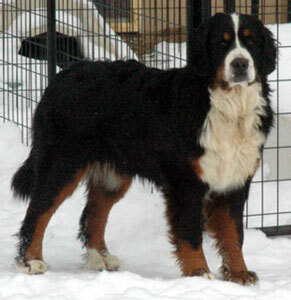 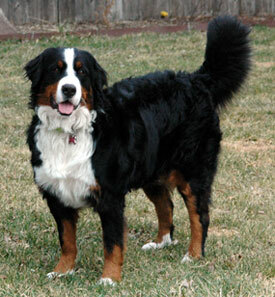 Our dogs are European imports, coming from longtime, well established breeders. 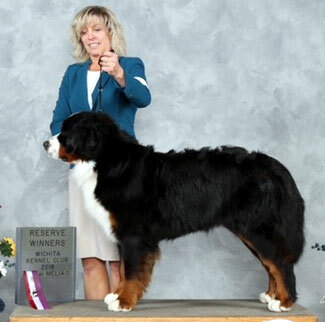 European regulations require that all breeding dogs go through extensive testing and certifications before allowing them to breed. 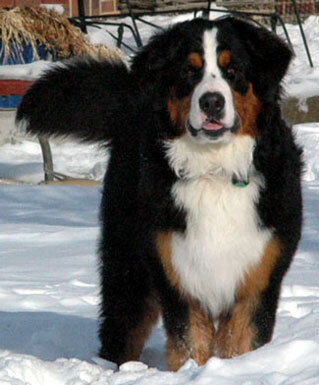 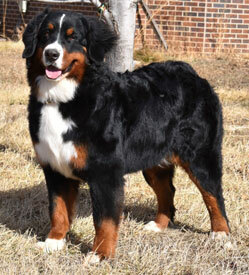 We are elated to have our Bernese Mountain Dogs come from such excellent foundation breeding stock, and to boast that they are Degenerative Myelopathy (DM) free, OFA and PennHIP certified for elbows and hips, Cardiac certified and CERF for eyes. 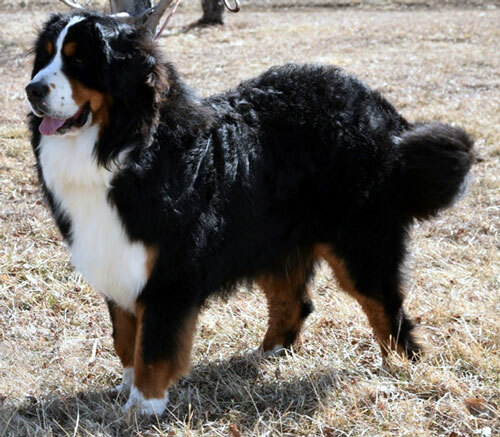 Our dogs live a happy life here on our 40 acres with lots of room to romp and plenty of animal (and human) companionship. 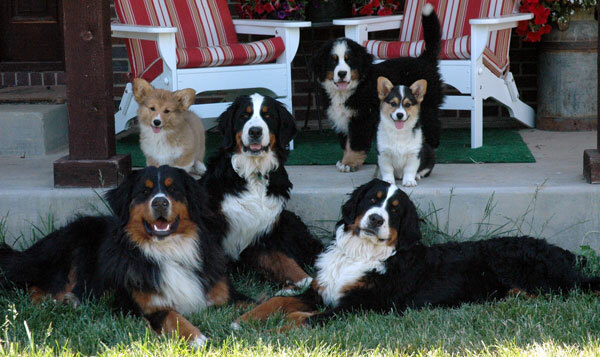 Our pups are raised by the family with the best of care. 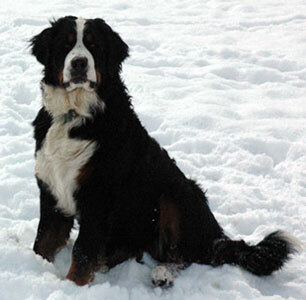 They are fed holistic, all-natural dog food and our facilities are both heated and air-conditioned. 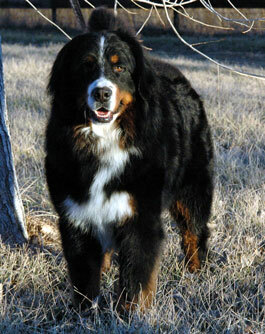 We are dedicated to the health and well being of this wonderful breed, and encourage folks to study and learn all they can about the beautiful Bernese Mountain dog. 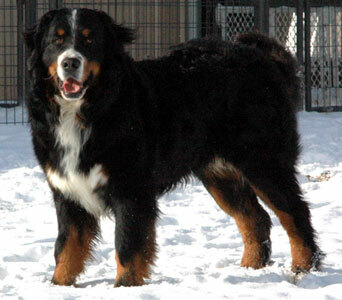 If you feel this is the right dog, we are the right place to visit in considering your next best (giant) friend! 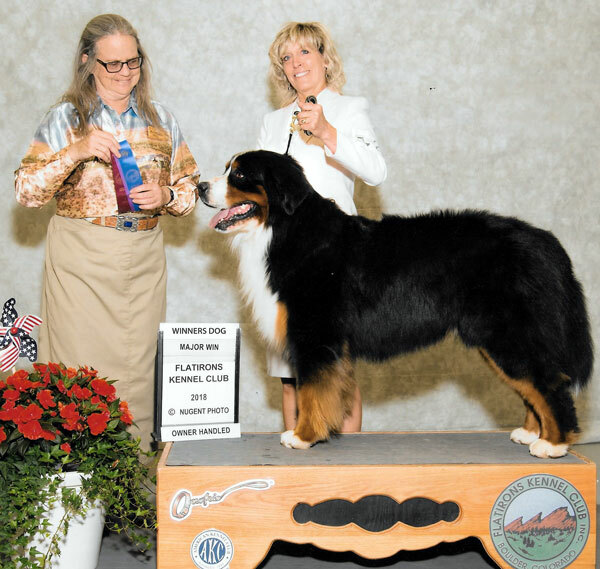 Check out these pages for more pictures and stories! 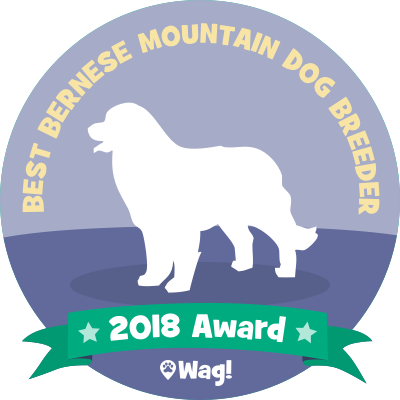 Haystack Acres Bernese Mountain Dogs based in Longmont, CO is a Top 2018 Bernese Mountain Dog Breeder! 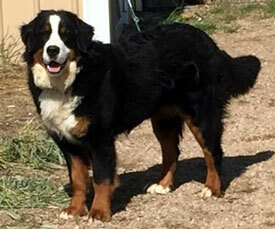 Click on a picture to visit each page. 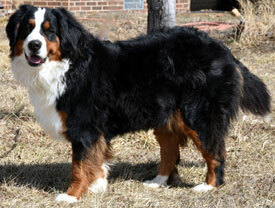 Puppies have arrived, reserve yours today! 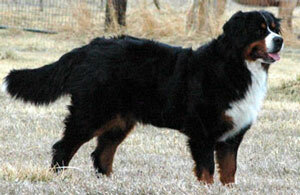 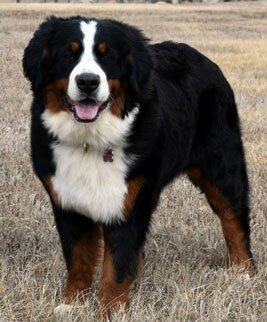 Expecting puppies in April, sired by Wallace. 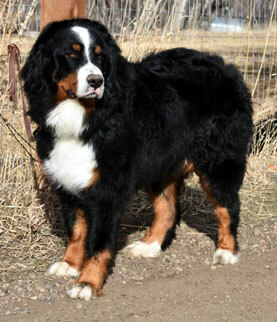 Reserve yours now! 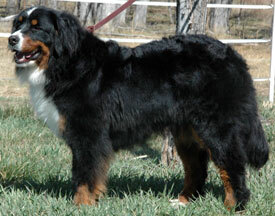 Puppies coming in April, reserve yours today! 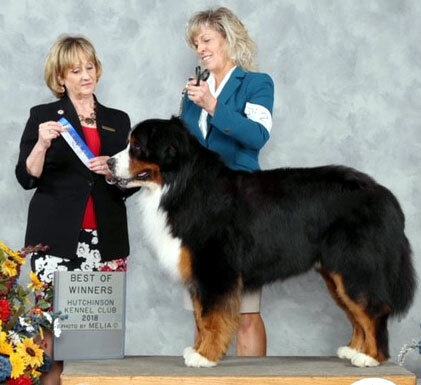 Krypton Fowler's Land - "Nitro"
Sunflower Cluster Dog Show, Wichita KS.